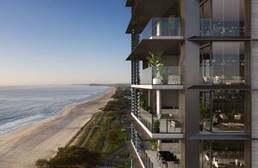 CDI congratulates Spyre Group on Gold Coast’s newest beachfront residence, Elysian Broadbeach. This luxurious urban design, located at 185 Old Burleigh Road, Broadbeach and spread across 825m2 of land was developed by Spyre Group, a key player in the creation of high-end and luxurious apartments within Queensland and beyond. The development includes 65 luxury apartments across 21 levels featuring gym, pool, spa, outdoor areas and barbeque, port cochere entry and a roof deck common area with landscape integration. Each apartment, beach villa, sub-penthouse and penthouse has exceptional beachfront or hinterland views that overlook some of the most desirable locations on the Gold Coast. CDI is proud to have been retained by Spyre Group on this project. CDI congratulates Marquee Developments on the launch of their new $35 Million dollar Gold Coast Project on Chevron Island. Located on the corner of Stanhill Drive and Weemala Street, 61 apartments across the nine level building offer views of the waterways and Surfers Paradise Skyline. Marquee engaged builder, Rawcorp to deliver this high density apartment project, which includes a resort-style rooftop space, a large spa, gym, terrace, and a private dining room. 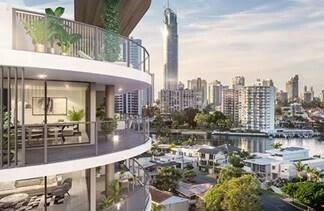 Stanhill Chevron Island is Marquee Development Partners’ second Gold Coast project, following the success of its Peninsular Residences tower in Surfers Paradise, which is already sold-out and under construction. CDI is proud to be retained by Marquee Developments on several of its projects. 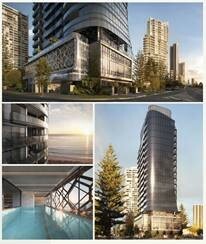 CDI also congratulates McNab Constructions on being retained as builder on the $65 Million dollar luxury residential development in Broadbeach on the Gold Coast. This 22 storey-tower at Broadbeach Avenue, will have half and full floor apartments only with an unprecedented level of residential living.